Security forces continue to investigate attack at entrance to Ariel and track down escaped terrorist. The defense establishment is continuing the investigation of Monday's attack at the entrance to the city of Ariel in which Itamar Ben Gal, a Har Bracha resident, was stabbed to death by an Arab terrorist. The murderer, who stabbed Ben Gal by creeping up behind him, managed to escape the scene and is being hunted by IDF forces. His name is Abed al-Karim Adel Assi and he is a resident of Jaffa who has a blue Israeli identity card denoting Israeli citizenship. He once lived in the Shanti House for runaway, homeless youth in Jaffa, but the staff found out that he made a habit of visiting the hostile PA city of Shechem and informed him he would not be able to continue living there if he did not cease doing so. As a result, he decided to leave Shanti House. Investigations into the attack indicate that the terrorist arrived at the bus station, a favorit hitchhiking spot, at the entrance to the city of Ariel, stabbed Ben Gal and began running away. An IDF officer who identified the terrorist pursued him in his car and hit him - but the terrorist managed to enter a vehicle and flee to a nearby village. Itamar Ben Gal, Hy"d (may G-d avenge his blood), 29, a father of four, was an eighth grade official teacher (Ra'm) at Yeshivat Bnei Akiva Givat Shmuel and also taught at the Har Bracha yeshiva. While doctors tried to fight for his life at Beilinson Hospital, a brit milah circumcision ceremony was taking place for Ben Gal's nephew. 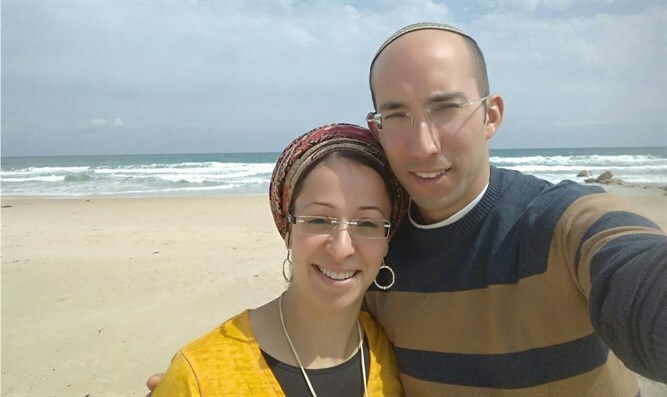 The family says that Itamar was on his way to join the event with his family in order to celebrate the birth of his wife's nephew.